Rainbow Boas are native to South America and are predominantly found in tropical and humid rainforests. There are 12 recognised sub-species of Rainbow Boa, which are defined by both their patterning’s and the location of their natural habitats. Due to the Rainbow Boas tendency to not be heavy bodied they are sometimes referred to as Slender Boas as they are less heavy bodied than other members of the family Boidae. Rainbow Boas are so called because their bodies have an iridescent sheen that gleams with a rainbow effect, similar to the spectrum of colours that we see when oil is on water. This is achieved by the refraction of light off of tiny microscopic ridges that the eye cannot see making the scales act like mini prisms. This iridescent sheen also makes Rainbow Boas one of the most visually attractive snakes in both the pet trade and the world. Rainbow Boas are constrictors, which mean they kill their prey by coiling around it and stopping the air flow. Rainbow boas predominantly hunt during the night time hours and their usual prey consists of rodents, birds and small mammals. 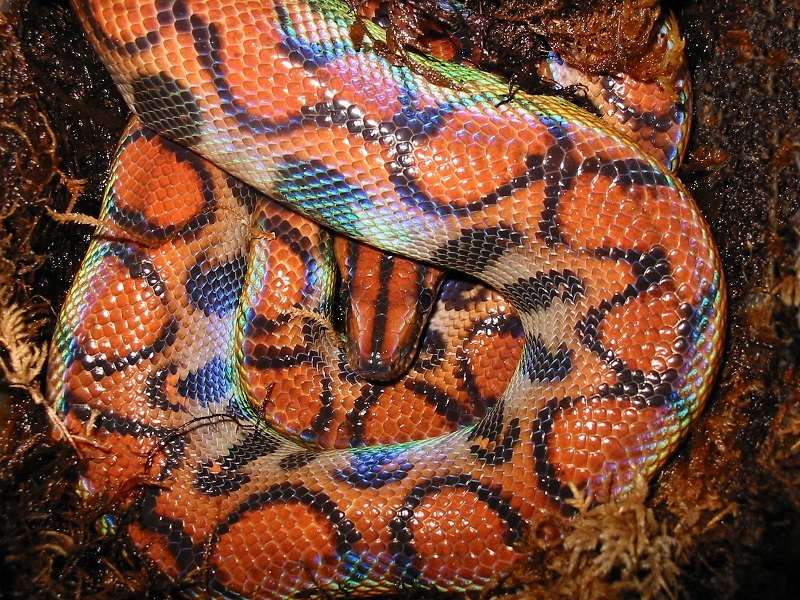 Click HERE for a Brazilian Rainbow Boa care sheet. Click HERE for a Argentine Rainbow Boa care sheet. Click HERE for a Colombian Rainbow Boa care sheet.